Aaron and Alexander could have been friends. They were alike in many ways. But the ways in which they were different made them the worst of enemies. 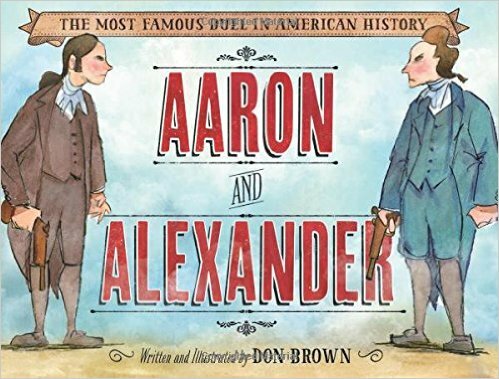 Brown’s informational picture book, illustrated in his signature cartoon style, gives readers a brief look at what might have contributed to the animosity between Aaron Burr and Alexander Hamilton that would lead to the famous duel. We learn that both men lost their families at a young age, were highly intelligent, brave, and fought in the Revolutionary War. After the war, Aaron and Alexander became successful lawyers in New York City. They sometimes worked together, including successfully defending a man against sensational murder chargers. They shared meals. They shared friends. “Good terms,” said Alexander of his and Aaron’s connection. What led up to the duel was their clash over politics. The two men were in opposing political camps. Hamilton felt strongly that Burr would be a terrible leader and said so publicly. In his author’s note, Brown explains that Hamilton had a huge influence on American history. He was involved in the writing of the Constitution, authored 51 of the 89 essays in the Federalists Papers published in 1788, and became our first secretary of the treasury under George Washington. Hamilton’s contributions to American history were many, Burr was an inconsequential senator and vice president. In Aaron and Alexander, the marriage of text, illustrations, and the author’s note makes this an excellent book to share with students. 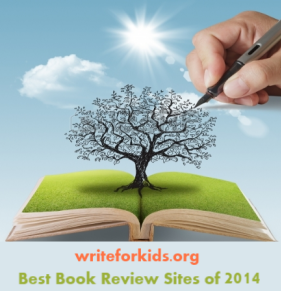 It is an engaging introduction to American history. I enjoyed this title too. And since Drowned City, I'm a fan of Don Brown's work.